President Wilson’s war speech before Congress on April 3, 1917, did not catch Connecticut divided and complacent. State munitions industries were operating at full capacity to satisfy Allied contracts. Governor Marcus Holcomb had won reelection in 1916 on a “preparedness” platform. In February, he authorized a State Military Census and, in March, the formation of a Home Guard for protection against saboteurs. 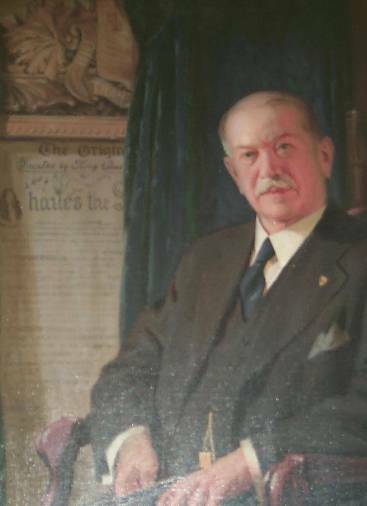 After the Declaration of War, Holcomb created the State Council of Defense, one of 48, to mobilize citizens, industries, labor, and organizations to win the war. “Truth” is said to be the first casualty in war; freedom of speech and print declined under the pressure of anti-German war hysteria and paranoid suspicion that foreigners were enemy agents. In April 1918, Governor Holcomb designated English as the only language to be used in teaching and prohibited schools from employing “alien enemies.” Amid this excessive patriotism and resurgent nativism, Connecticut’s librarians supported campaigns to raise money to purchase books and to collect books for use in military base camps and field hospitals in the US, Europe, and Asia. Books, according to one ALA (American Library Association) poster, were the basis of civilization that the war intended to protect. However, it followed that some books were not suitable. Four months later the war ended. 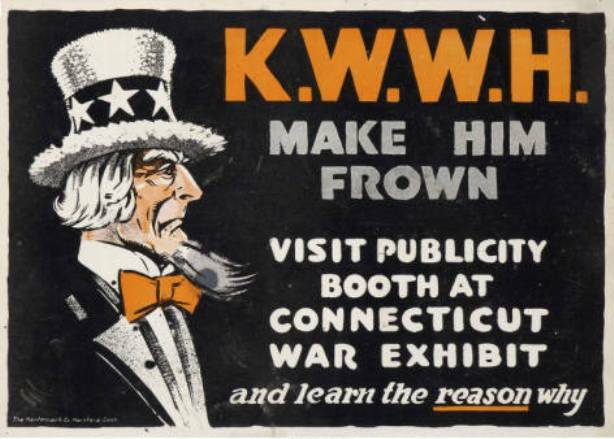 Connecticut’s brief experiment in official censorship produced mixed results. More librarians failed to respond than replied. Did this mean that censorship was unpalatable or had they already engaged in their own brand of removal in order to avoid the protests of local jingoistic patriots? We simply do not know. © Connecticut State Library. All rights reserved. This article is excerpted and originally appeared in The Connector Vol. 1/ No. 3, November 1999. “Governor Marcus H. Holcomb.” Connecticut State Library, 2016. Link. “Finding Aid to the Council of Defense Inventory of Records, 1917-1919: RG030.” Connecticut State Library, 2016. Link. Connecticut State Council of Defense, and Richard M. Bissell. Report of the Connecticut State Council of Defense. December 1918. Hartford, CT: Printed for the Council, 1919. Link.